Children of aging parents never want to have to make the decision to place them in a nursing facility. The impact of losing the ability to function on a normal day-to-day basis can devastate both the children and the parent. Many signs will begin to appear months before a choice has to be made. A serious fall can lead to hospitalization where surgery has to be performed. Bones become brittle with age. The ability to walk with ease becomes a struggle for the elderly to take a few steps. They become disoriented from the fear of falling, lose balance and fall to the floor. It could possibly be a light stroke or a similar health problem that causes the fall. Insurance is another concern. Many seniors don’t have adequate insurance policies to cover long-term health care in facilities such as hospitals or rehabilitation centers. The options are limited unless the children can afford to hire home health care assistance. Alzheimer’s disease affects many seniors. The symptoms of this serious disease can become so severe that the afflicted lose the ability to function normally. Things that could be taken care of easily become a burden because they don’t remember to take care of them. Being alone can be a huge problem for seniors. Children have their own responsibilities with their families and jobs. They don’t have the time to see about the needs of their parents. This can lead to depression with the elderly. Many of them begin to lose hope and give up. This is a serious sign that something needs to happen. The parent needs more visitations from the children or a change in the living situation. Poor living conditions due to neglect in properly cleaning the home are a sign that is hard to notice. Children should focus on the cleanness of the home each time they visit. Things to notice are the kitchen, carpet, bathroom and bedroom where their parent spends the most time. Trash that is never taken out and food that is becoming stale in the refrigerator are two serious signs that something is wrong. Many children have some control over their parent’s finances. Seniors will try to hold on as long as possible when it comes to paying their responsibilities. One of the problems of aging is the inability to realize time. Seniors will eventually get to a point that they can’t take care of their own finances. The children will either have to step in to do it for them or make arrangements for the bills to be paid. This can cause seniors to forget to take lifesaving medications. They might not remember who their children are. Seniors with this disease might get to a point where they can’t cook, feed or bathe on their own anymore. 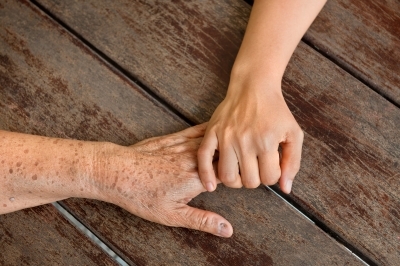 When seniors become diagnosed with dementia, children need to monitor their parents more. This means going to see them often and making sure that everything at the home is normal. Most people who develop this disease finally get to a point in time where they need 24-hour senior care service or have to go into a nursing home facility. Cardiovascular disease is common for the elderly. Strokes affect many seniors each year. Most of them have a series of mild strokes until that big one finally happens. Once a parent begins having strokes, it can be a serious sign that they might have to have others taking care of them. A parent who is diagnosed with an illness, such as terminal cancer or heart disease with only a short time left, deserves the best of care. This is the final factor in determining if a parent needs to be in a nursing home or any other facility to care for their health needs. Consider what each member of your family is going through and make the best decision for you, your parent, and your family.